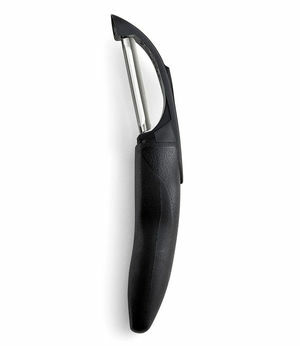 Bestseller $42 The extra-sharp blade peels fruits and vegetables effortlessly. Dual-sided blade allows for peeling forward and backward. Use to shave hard cheese like Parmesan, make vegetable ribbons and create fresh chocolate shavings. Bestseller $59 The last can opener you will ever buy. The sharp Cutco blade and smooth, gear driven operation make opening cans effortless. 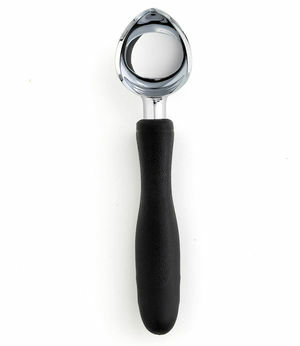 Textured, comfort-grip handles fit securely in your hand. Built-in magnet for no-touch removal. $49 Scoop into the hardest ice cream. The thin edge cuts through frozen desserts easily. Extra wide scoop serves big portions. Pointed tip digs into corners and resting ledge prevents messes. Also great for cleaning out hardy fruits and vegetables such as cantaloupe and squash. 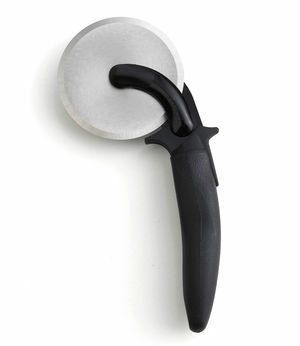 $73 Designed for cutting hard to soft cheeses. Also try this knife on vegetables and fruits, like potatoes and tomatoes. Perforations keep dense foods from sticking. 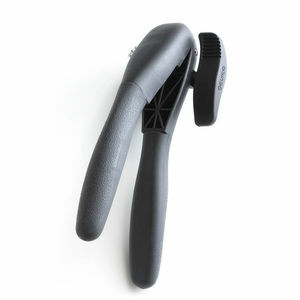 Its soft-grip handle is comfortable to hold. A must-have for anyone who likes to entertain. 4-1/2" Micro Double-D®-edge blade. 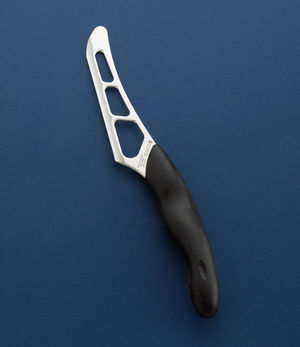 No sheath is available for this knife, if you prefer a knife with a sheath, please visit our Traditional Cheese Knife. $55 From thin crust to deep dish, slice all types of pizza. Also use it to cut cookies and brownies into squares. Removable blade for easy clean-up. Bestseller $51 Take the guess work out of sharpening. 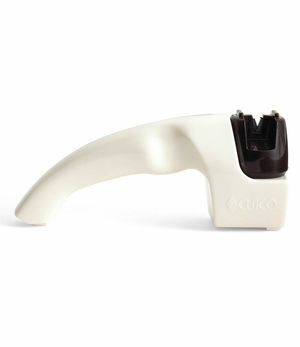 Easily sharpen your straight-edge Cutco knives at home. Designed to position your knife at the right angle for effortless sharpening. $54 Be prepared for any party! With easy cork removal and effortless release, we've taken the worry out of opening a bottle of wine in front of a crowd. Attractive, sleek design. 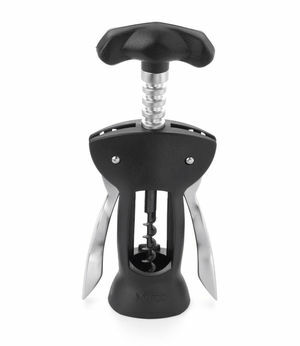 Comes with built-in bottle opener and makes a great gift!